Legend Delivery uses state of the art technology that is unsurpassed by other courier companies. Our system allows you , the shipper, to accurately manage all your shipments. Our courier dispatch software enables us to provide our shippers with on-line order entry, real-time order tracking, bar-code scanning and electronic invoicing. 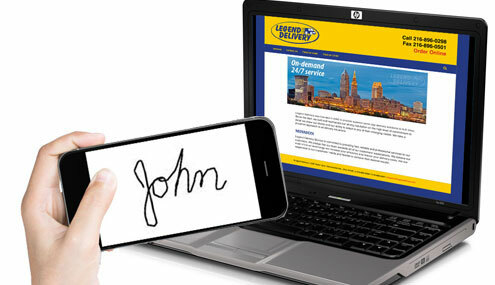 Legend Delivery’s web-enabled mobile communication system allows our drivers to enter the POD’s (Proof of Delivery signatures) upon delivery into their devices and provide the shipper with real-time delivery notification.